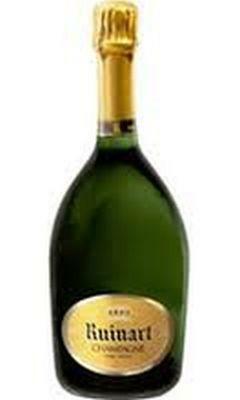 Fresh and appealing on the nose, with delicate yeasty aromas, the palate is soft and harmonious, very well-balanced. with a persistent mousse. it is in the mouth-feel and finish that you can tell that this is a top champagne: the aftertaste is complex but not sour. It's at the opposite end of the spectrum from the thin, acidic premier prix champagnes which you see on French supermarket shelves. Would make a great present for fans of quaity champagne and comes in its own gift box. Ruinart is the oldest champagne house dating back to 1729 and although now part of Moet-Hennessy, it has retained its small, independent house-style where quality is the aim, not volume. Their standard reserve NV champagne is really like many houses’ special cuvée in its elegance & balance with floral notes to the fore and hints of white peach and acacia on the palate.